The question that pops up in anybody’s mind when they hear useful gift ideas below $50 is what can you really get for under 50 bucks? In America, you can buy a burger for $1, loads of HD movies for $10, and travel tickets for less than $40 from various shopping sites. Some pretty impressive gear can be bought for less than 50 dollars online which will redefine the term ‘affordable’ when it comes to a list of gifting ideas. Here is the list of the useful gifts ideas below $50 for him and her. 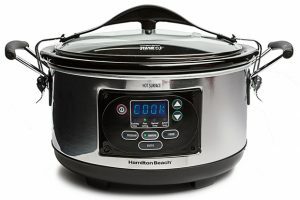 This 6QT Set & Forget Programmable Slow Cooker by Hamilton is a blessing for stay-at-home moms, working professionals, and calorie conscious individuals who are victims of the rush hour every day. The stress-free cooking that these cookers provide is a pure magic and is totally dependable. The set boasts of features like Temperature Probe, Sealing Lid, and Transport Clips to start with. You can either set the desired cooking time or the temperature and cook a recipe with the Smart technology of this cooker, which automatically switches to warm mode once done cooking. The patented temperature probe lets the food cook at a precise temperature while the control panel displays the temperature of the food while being cooked. The clip-tight gasket lid clips food securely to avoid spills when you carry the cooker on-the-go, to parties, picnics etc. The crock and glass lid is detachable and dishwasher safe and the Power Interrupt Protection helps continue slow cook during power outages. The 6 Quart capacity is perfect for chicken and meat up to 6 lbs. Probe, program, and manual smart settings allow to cook up to a particular setting. The High, Low, and Warm settings help cook in a particular mode. Probe helps cook meat, program helps pot roast, and manual helps you cook the traditional way. The best is saved for the last you get this amazing kitchen appliance for below $35, and the recipient of this gift will never be disappointed. These superfast charging pads are the perfect go-to device to juice up your mobile device when its all drained out. 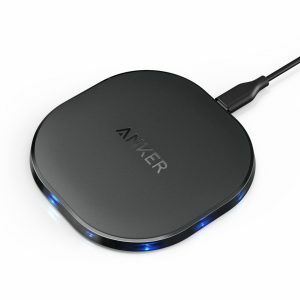 Plugging in is passe, get used to no chords and snag this magic charger before it is gone. Bedside charging or charging on your office desk or even car was never easier. Charging is two times faster with this gizmo, while the design is sleek and compact, with a non-slip pad, LED indicators, light-weight of 63 grams, 10 watts power capacity. This product is compatible with Samsung S7 / S6 / Edge / Plus, Note 5, Nexus 4 / 5 / 6 / 7 and all other Qi-Enabled devices. It is the best gift for vagabonds and individuals who love to travel without the wires and chords. The cost is just $36, smile away because you have just hit the jackpot with this one. Small things are easy to get misplaced or are too messy in terms of getting organized. 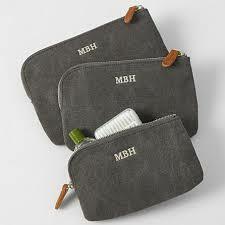 The sleek and convenient travel zip pouch from MBH makes sorting and staying organized the simplest thing ever. These travel pouches are as cute as a button and are easy to maintain with a suede brush. The functional part of these fun travel zippers is their protective feature. Each pouch has an RFID reader blocking capability with its secure panels that prevents disclosure of credit card details. The soft suede and the durable washed cotton canvas are made to endure dust, moisture, plus wear and tear. Three available sizes small, medium, and large easily nest your belongings of different sizes. You can store credit cards, cash, fragrances, pins, cosmetics, earbuds, mini wipes, hand washes, prescription pills, and much more and put them away in your handbags or travel bags. The leather zipper tab in tan adds a distinct touch of plush contrast to these little bags. Available for around $24 this set of three pouches will crown you as an amazing gifting person. By adding more heat and massage intensity, the hard-to-reach muscle groups become less tight with improved flexibility. Each muscle is given the right amount of massage care to help in better blood circulation. The massager has four rotating nodes that offer relaxation by improving muscle function. The right amount of kneading pressure is provided by these nodes through their circular motion and optimum heating. The right amount of heat offered by this massager is great for relieving the muscle fibers of pain and discomfort while reducing stress accumulated over the day. The increased circulation offers improved mobility that helps to recover from sprains, cricks, cramps or any other injuries in a fantastic way. The bi-directional massage therapy offered by this massager helps induce a comfortable sleep while mimicking a personal SPA massage. Deep REM sleep can happen quickly and effectively. The product comes with an AC adapter and a car adapter and has auto shut-off safety feature. The lightweight handheld design is just the perfect way to get your most comfy massage. The cost of this amazing Shiatsu Massager is only $30 for a lifetime of great muscle health. Writing or drawing on paper is a bygone way of making notes. 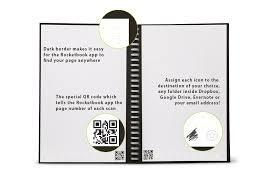 This reusable Smart notebook is the real deal in writing, drawing, doodling, and much more that is equivalent to a thousand notebooks. Bringing cloud scalability to pen and paper, the Everlast Smart Notebook has 36 reusable pages made of a polyester composite rather than wood. These pages feel like real paper but the content can be erased using a wet cloth. Writing on Everlast feels perfectly natural and smooth and integrates naturally with your digital lifestyle. The Pilot FriXion pens can be used to write on RocketBook app to scan and blast the content to Google Drive, Dropbox, Evernote, Box, OneNote, Slack, iCloud and email. The dimensions of this book are 5.24 x 22.35 centimeters. The cost-efficient notebook comes for $32. Next: Find Out Why Was Your Debt Consolidation Loan Application Disapproved?